Zendaya Maree Stoermer Coleman, known simply as Zendaya, is an American actress, singer and dancer. She began performing at an early age with the dance group Future Shock Oakland, the California Shakespeare Theater in Orinda, and as part of her studies at the Oakland School for the Arts and Cal Shakes Summer Conservatory Program. While she was in her early teens, she embarked on her entertainment career, graduating from modeling work for Macy's and Old Navy to appearing in the video for Kidz Bop's version of Katy Perry's hit single, "Hot N Cold". Late in 2009, she auditioned for the Disney Channel series eventually known as "Shake It Up! ", landing the role of Rocky Blue. Several of the songs she performed on the show were released as singles, including 2011's "Watch Me," a duet with her co-star Bella Thorne that charted at number 86 on the Billboard Hot 100. That year, she also released the single "Swag It Out". Zendaya parlayed her "Shake It Up!" success into a role in the 2012 Disney Channel original movie Frenemies alongside Thorne, and hosting Make Your Mark: The Ultimate Dance Off 2011. That year, more of Zendaya's songs were featured on the second season of "Shake It Up!" and the soundtrack Shake It Up: Live 2 Dance. After signing a deal with Disney imprint Hollywood Records, she began work on her first solo album. 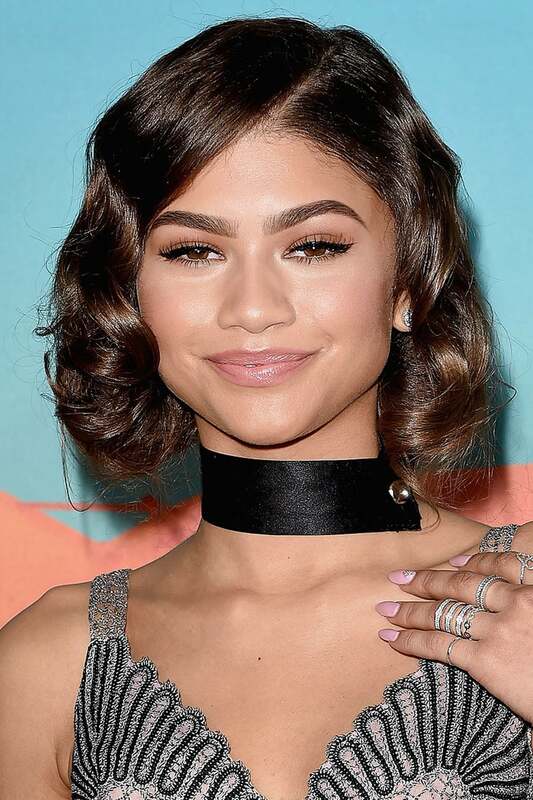 Early in 2013, Zendaya was cast on the sixteenth season of ABC's "Dancing with the Stars", becoming the show's youngest contestant at 16 and placing runner-up. That July, "Shake It Up!" concluded, and in the following months, the book Between U and Me and her debut album Zendaya arrived. The album's lead single "Replay" was released on July 16, 2013, reached number 40 on the Billboard Hot 100, number 18 in New Zealand, and was certified platinum by the RIAA on January 30, 2014. The self-titled debut album was released on September 17 and peaked at #51 on the Billboard 200. In 2017, Zendaya played Michelle 'MJ' Jones in Spider-Man: Homecoming.